Robert Jesuraj interacting with the Chair. 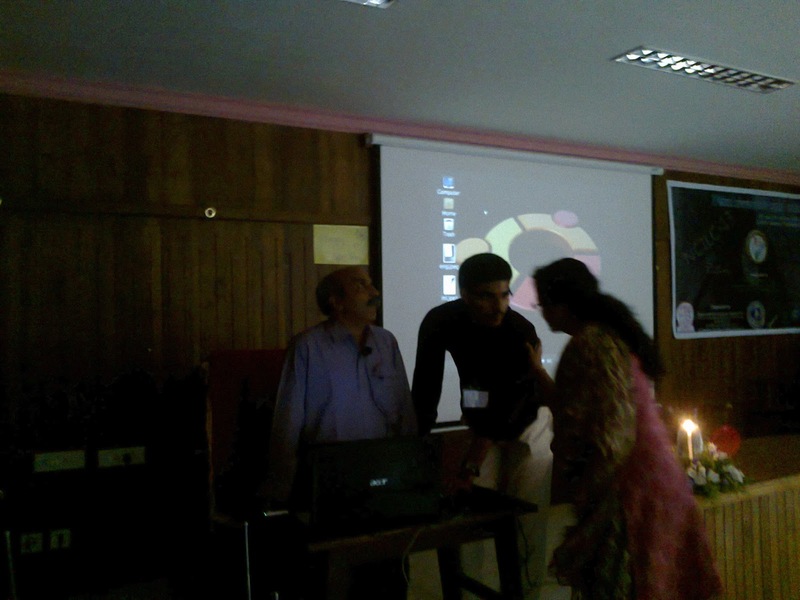 Manu Madhavan, Mujeeb Rehman O, P. C. Reghu Raj, " Computing Prosodic Pattern for Malayalam", in Proc. 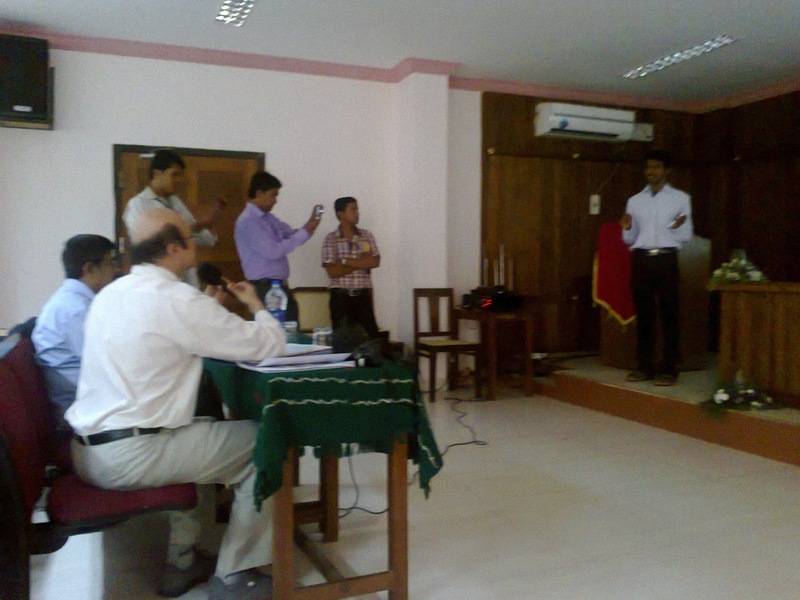 of NCILC, pp 1-4, CUSAT, Cochin, 2013. Robert Jesuraj, P. C. Reghu Raj, "MBLP approach applied to POS tagging in Malayalam Language", in Proc. of NCILC, pp. 5-8, CUSAT, Cochin, 2013. 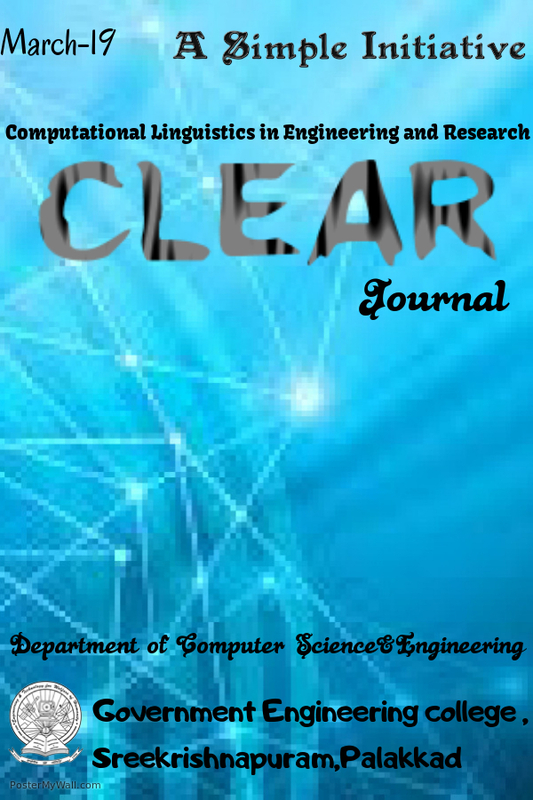 We are inviting thought-provoking articles, interesting dialogues and healthy debates on multifaceted aspects of Computational Linguistics, for the forthcoming issue of CLEAR ( Computational Linguistics in Engineering And Research) magazine, publishing on March 2013. The topics of the articles would preferably be related to the areas of Natural Language Processing, Computational Linguistics and Information Retrieval. The articles may be sent to the Editor on or before 20th February, 2013 through the email simplequest.in@gmail.com.